George McRobie (1926-2016) was a colleague and friend of E. F. Schumacher for twenty years and in 1965 helped him to form the Intermediate Technology Development Group (now Practical Action). Upon Schumacher’s death he became chairman of the Group, honorary vice-president of the Soil Association, a founding member of the New Economics Foundation and The Other Economic Summit, as well as head of a postgraduate course in appropriate technology at the University of Pennsylvania and an associate fellow of the Institute of Development Studies at the University of Sussex. Over the years his work took him around the world to help communities find practical solutions to problems through appropriate technology, but more than just a technologist, McRobie had a warmth and breadth of understanding for people that was apparent in his talks. In 1981 McRobie completed Small Is Possible, the last of Schumacher’s trilogy of books, which laid out how the ideas and theories on sustainability in the first two books, Small Is Beautiful and A Guide for the Perplexed, could be applied to everyday life. 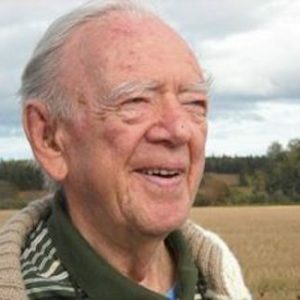 George McRobie died in 2016 at the age of 90. His contribution to both the green movement and the appropriate technology movement as a whole was immense.